You have decided to establish your online presence. 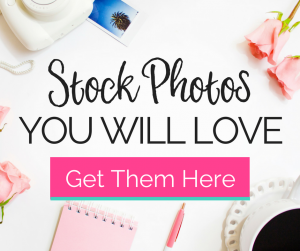 You are ready to setup your website, blog, or storefront. Do you need a domain name? 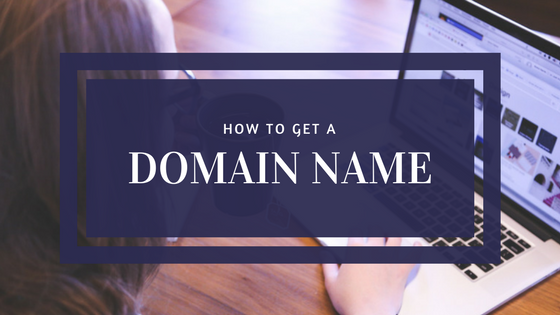 At this point, you might be wondering why do you need a domain name, is the name you want available, and how to get a domain name. 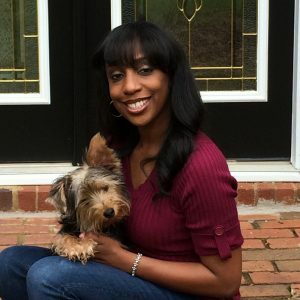 In this blog post, I will give you step by step instructions detailing how to get a domain name. 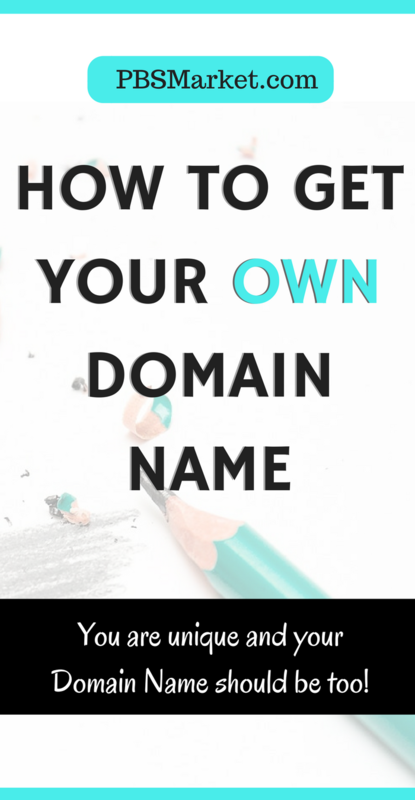 Before moving into how to get a domain name, let’s discuss a few basics. Before jumping into how do get a domain name, we should take a little time to discuss why do you need a domain name. A domain name is your online identity. It is a key component of your brand identity. Your domain name will allow your customers or readers to easily find your content on the internet. Choosing a domain name that clearly reflects your product or content will allow new potential customers to find your content. Domain Names are unique addresses on the internet. Therefore, domain availability is an important concern. 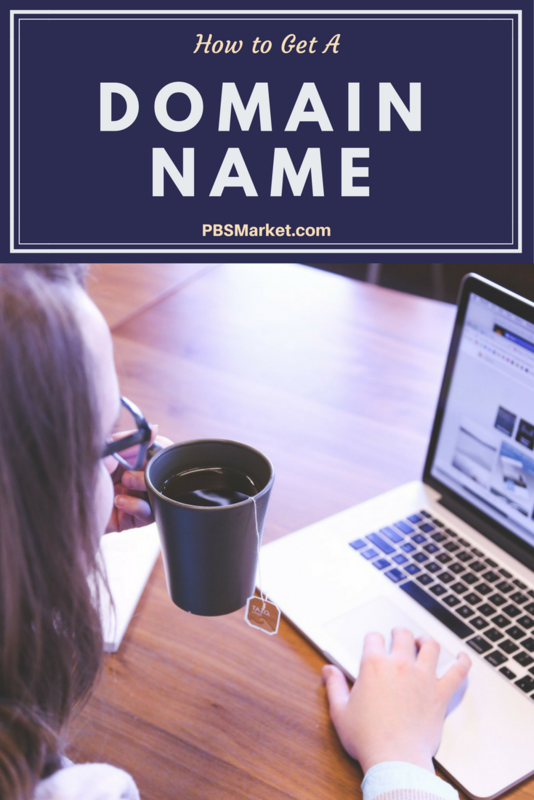 Take some time to brainstorm on your domain name. Write down multiple domain name options. Just in case your first choice is already taken, come up with a variety of options. 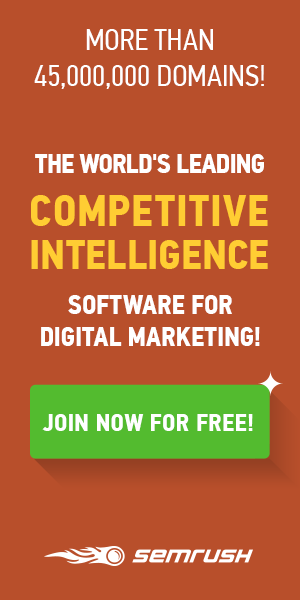 The most commonly used domain name extension is .COM. Your customers may find your domain name easier to remember if you include the .COM extension. However, feel free to choose any domain extension that best suits your website or blog. Now that you know why you need a domain name and you have put some thought into the domain name that you want to purchase. Let’s move it to how to get a domain name. This tutorial utilizes the company GoDaddy for domain name registrations. I have been a loyal customer of GoDaddy for about five years. Their customer service is excellent and their user interface for managing your domain name is very user-friendly. Take a look at this post from Cloudwards for a comprehensive review of GoDaddy. 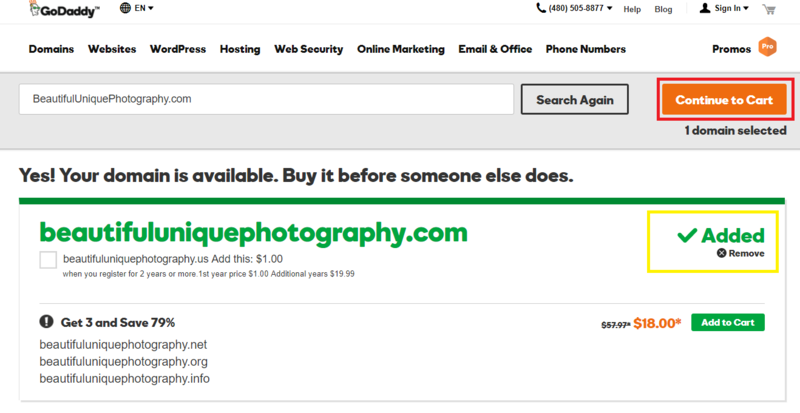 Enter the domain name of your choice into the box highlighted in the image below and press the green “Search” button. The domain name that you select must be unique. Another person or business can not already own the domain name you select. If you enter a domain name that is already taken you will see a message that indicates that the domain is taken as shown in the screenshot below. Enter an alternative domain name and select the “Search Again” button. Continue entering in desired domain names until your search reveals a domain name that has not been taken. If the domain name you enter is not taken, you will receive a message stating that the domain name is available as shown in the screenshot below. 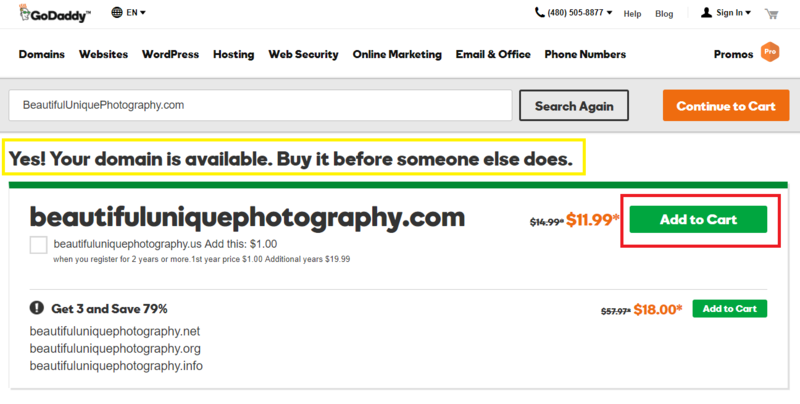 If you are happy with this domain name, select the “Add to Cart” button. Note: Please double check the spelling of the domain name you have entered. Once you have completed the purchase of the domain name it will be too late to correct any spelling errors. After selecting the “Add to Cart” button you will see a message indicating that your domain name has been added. 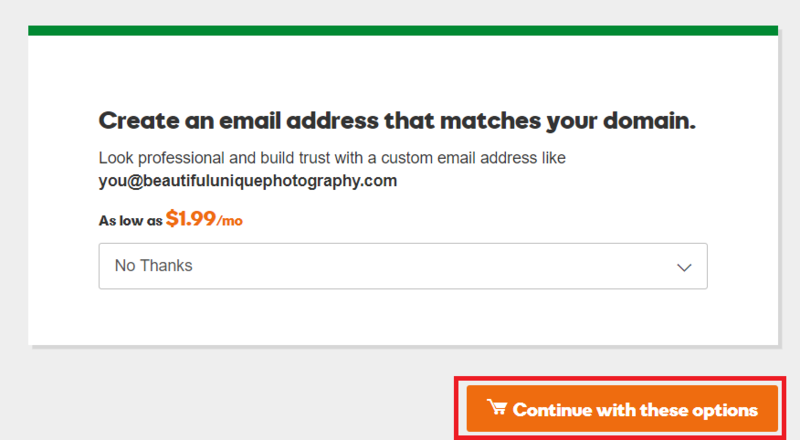 Click on the “Continue to Cart” button to begin the purchase of your domain name. GoDaddy will then present you with a few optional features. These features are not required to use your new domain name. Review the options presented and determine if they meet your needs. Select the “Continue with these options” button to complete your purchase. Next, you will be taken to your cart. 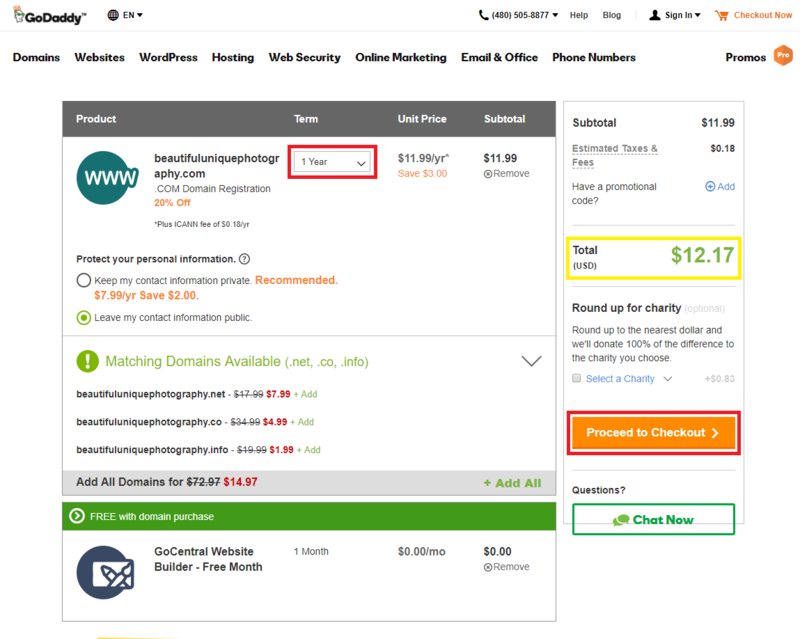 Your cart shows the domain name you have selected, the term of your registration, and the cost of the registration based on the term. You can purchase domain names on a yearly basis. When purchasing your domain name you can choose to pay between 1 to 10 years in advance. This is done by changing the value of the term option. In the screenshot below I have selected to purchase my domain name for 1 Year. Select a number of years or term you would like to register your domain name. The total of your order will adjust based on the term chosen. You are also given the opportunity to select additional options. As stated earlier, these options are not required to use the domain name you are purchasing. After you have chosen your term and desired add-ons select the “Proceed to Checkout >” button. 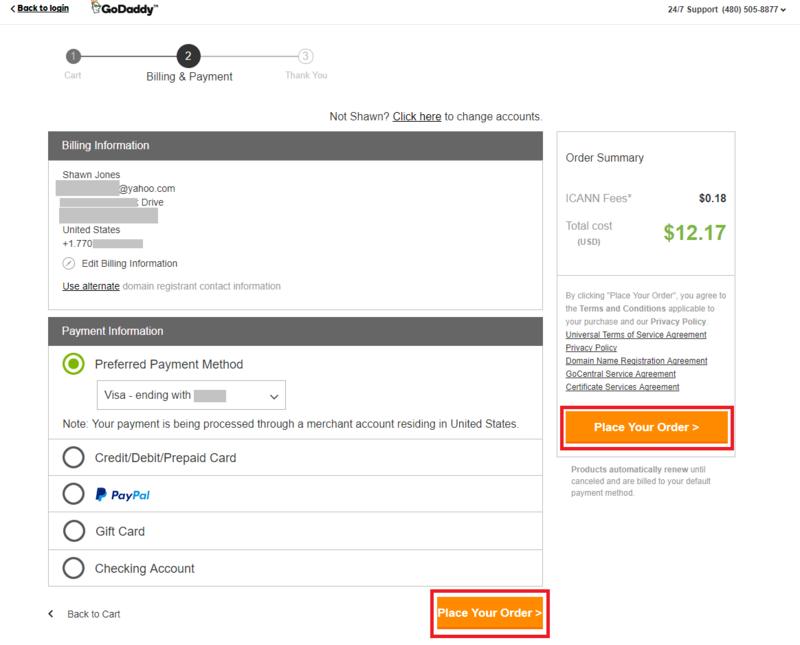 Before proceeding with making your purchase, GoDaddy will request that you sign into your GoDaddy account or create a new account. 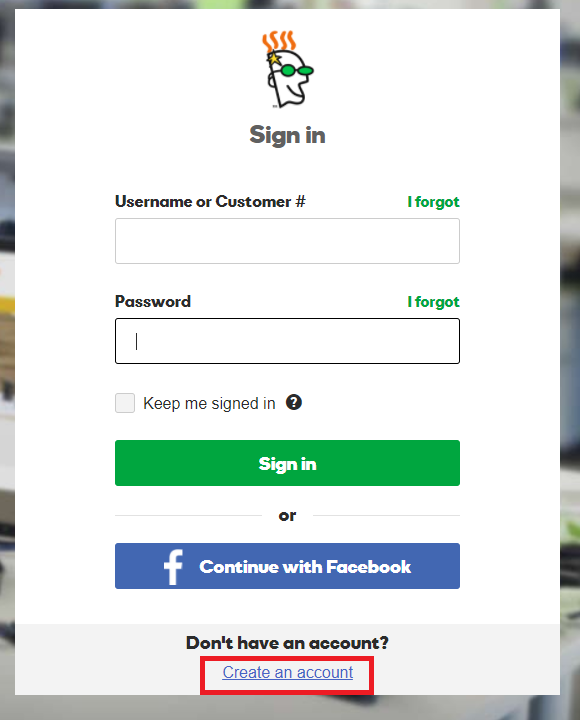 Select the “Create an Account” link located at the bottom of the page. On the resulting page, enter your email address, desired username, desired password, and desired support pin. After entering your email address into the Email field, the Username field will auto-populate with your email address. If you would like to use your email address as your Username you will not need to change this field. If you would like a different Username, simply delete your email address from the Username field and enter your desired username. 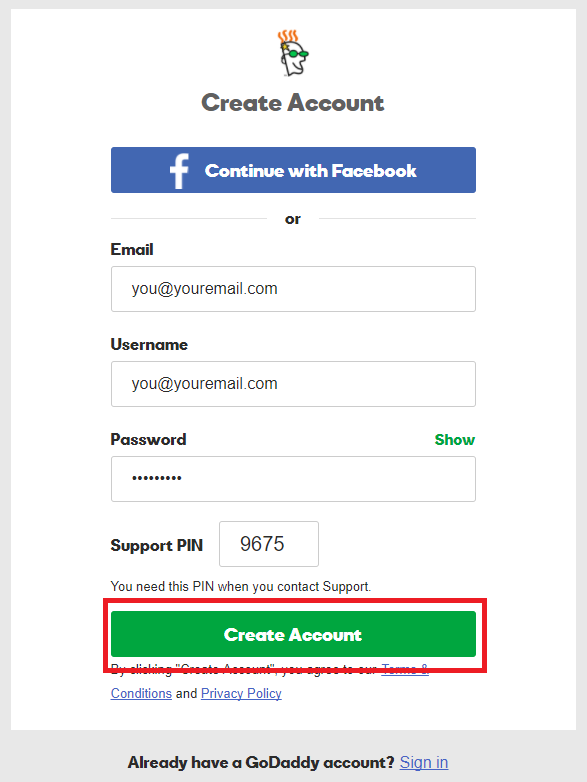 Once you have entered values into the Email, Username, Password, and Support Pin select the “Create Account” button. It is time to pay for your domain name. Choose your desired payment method and enter your payment information. After you have added in all required information select the “Place Your Order > ” button. You will notice that there are two “Place Your Order >” buttons on the page. You can select either of the two buttons to place your order. Your domain name order is now complete! You will receive an email from GoDaddy with information relating to your purchase. 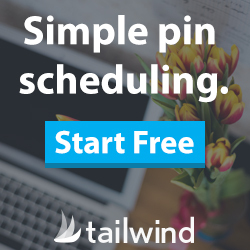 It is now time to connect your domain name to your hosting account. Click here for a tutortial detailing How to set up a WordPress blog. 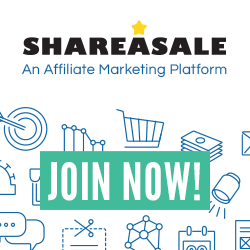 Leave a comment and let me know your new domain name.